Mind, the mental health charity, has moved into Gloucestershire. The well-established Swindon Mind opened The Alexandra Wellbeing House in central Gloucester in partnership with 2gether NHS Foundation Trust and NHS Gloucestershire Clinical Commissioning Group in April 2017 and as of 1st April 2018 have undergone a name and branding change to Swindon and Gloucestershire Mind. 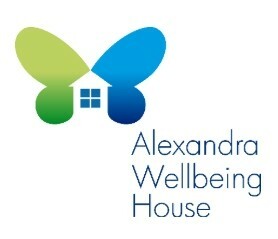 The Alexandra Wellbeing House provides a safe, therapeutic environment for adults with mental health challenges who need up to two weeks support and advice from Wellbeing Support Staff. Individuals are referred to as ‘Guests’ to reflect the non-clinical, relaxing atmosphere of the service. Each Guest will be allocated their own private bedroom and there are also several communal areas and shared facilities such as the living room, kitchen, crafts room, outdoor garden space and summer house. There is also a day guest structure where guests are invited to come to The Alexandra Wellbeing House for 5 weeks, one day per week with the aim of building up to an overnight stay or working towards improving their wellbeing. For more information please visit our website or contact us on 01452 245338. Self-Harmony @ Swindon & Gloucestershire Mind offers a 1:1 confidential and non-judgmental counselling service in a safe environment for individuals over 16 years of age who self-harm and self-injure. Our counselling enables the individual to experience acceptance, understanding, identify triggers and develop strategies to reduce the harming. We challenge negative thoughts and feelings to help empower each client to see themselves and live in a more positive way. Each client will have tailor-made therapy specifically for their needs and are seen for a minimum of eight sessions with a review to increase to a possible fifteen sessions, particularly for more complex clients. Once counselling has ended clients are encouraged to use the coping strategies & skills they have developed during their therapy for a period of three months. However, if they need more counselling once the three months have elapsed they can rerefer into the service. If you live in Gloucestershire counselling sessions are a paid service, for more information on how to refer and cost please contact counselling@swindonmind.org. We provide a range of cost-effective, flexible training workshops, courses and talks for both the public and businesses to promote wellbeing, sharing knowledge to give a deeper understanding of Mental Health, and also to reduce stigma and discrimination. These raise the level of health, wellbeing and engagement so that people can thrive. Research shows people perform better when they’re happy whether that be in life generally, and also in work situations. Currently, approximately nearly 20 percent of people in the workplace are experiencing depression, anxiety and stress; poor mental health is now the number one reason for sickness absence. Please download our training brochure from our website http://swindonmind.org/training-and-consultancy/ or email amyharris@swindonmind.org for more information. without the people who give their time, money, energy and passion to fundraise for us. Along with raising money, they join us in sending a message that mental health really matters. If you're arranging a fundraising event or are considering charity partnerships we would be delighted if you would consider supporting Swindon and Gloucestershire Mind. If you decide to support us please do get in touch to let us know so we can give you the support you deserve by emailing amyharris@swindonmind.org .